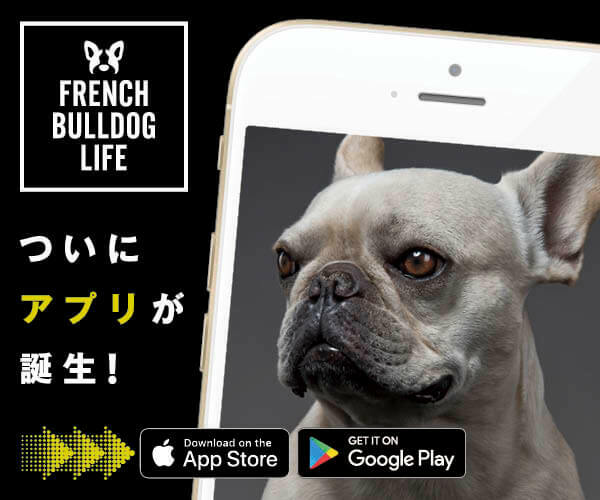 Nowadays, French Bulldogs have been becoming more and more popular all over the world. From kids’ clothing to cooking supplies, there are tons of things that have the super cute squishy face or chubby body of Frenchies. 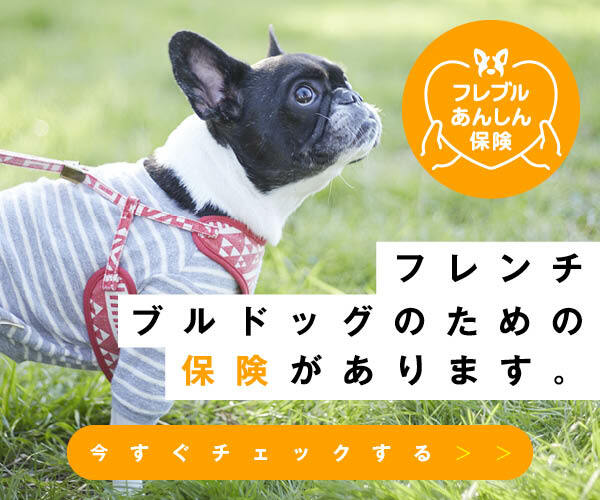 Yutoriro is something we would LOVE to introduce to you all – especially for those of you who are already bored of seeing the same kinds of Frenchie themed products. Well that’s a long line, isn’t it? 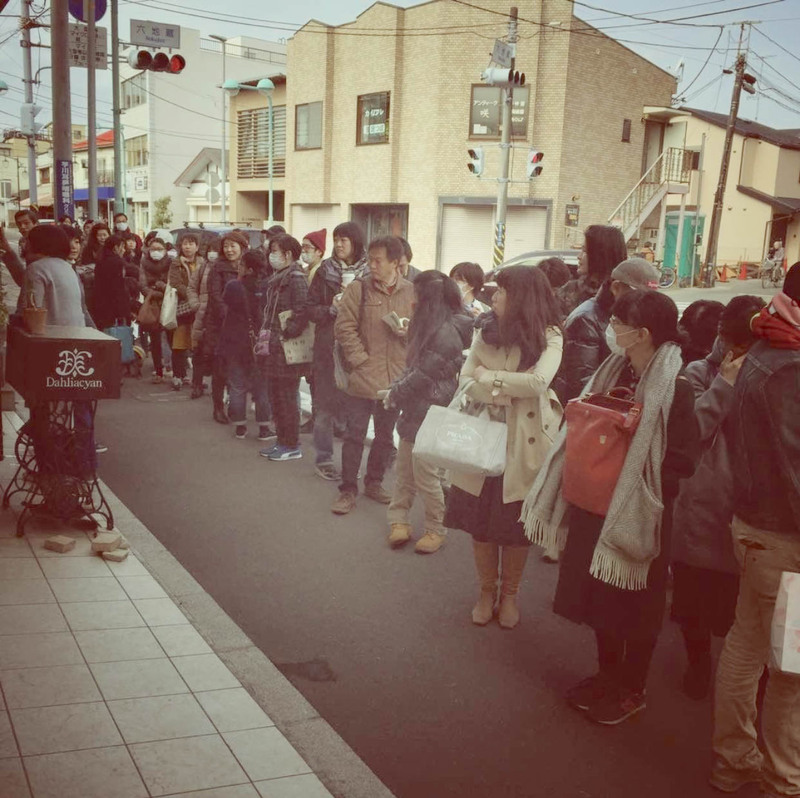 But even more surprisingly, the people who were in line were merely lucky people that won the lottery. 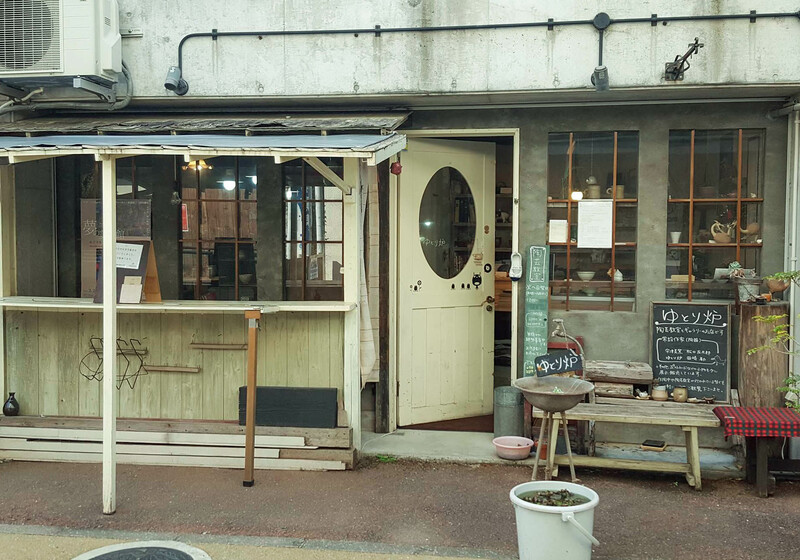 Yes, the lottery to get into the store. 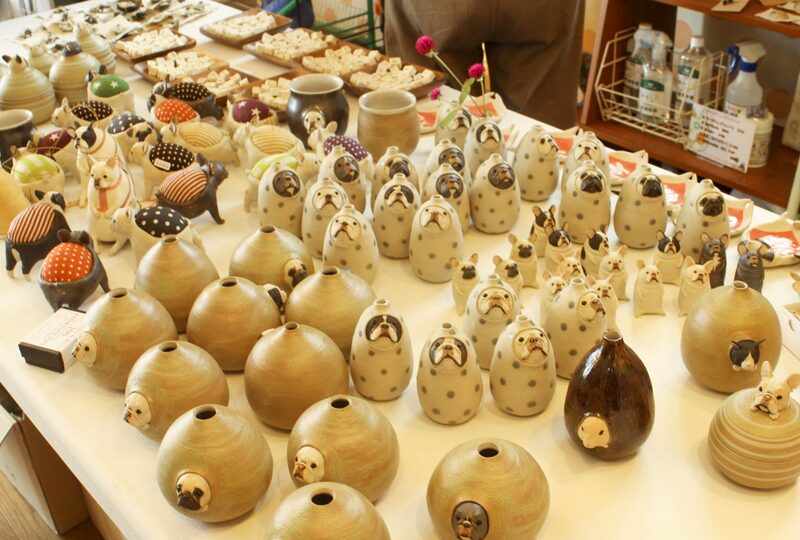 The super well-known Frenchie pottery maker Yutoriro is surely busy. 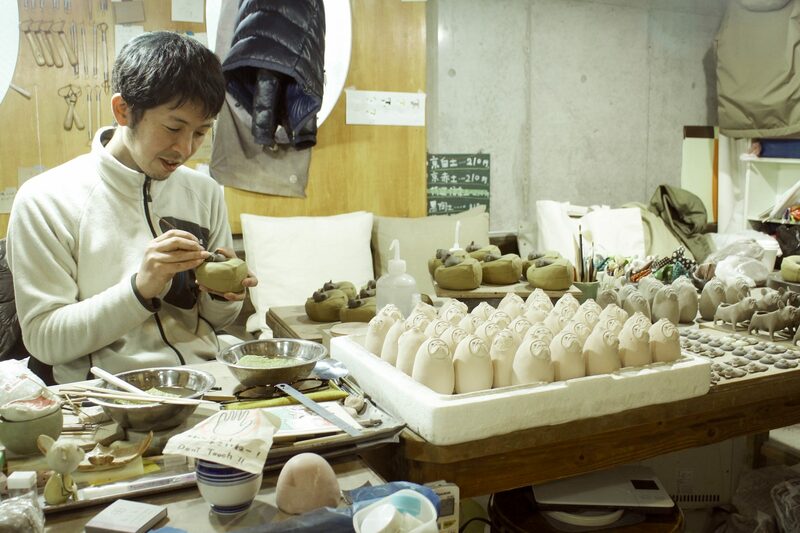 Not only does Tasaki make all of the products by his hands but also he often produces new designs. 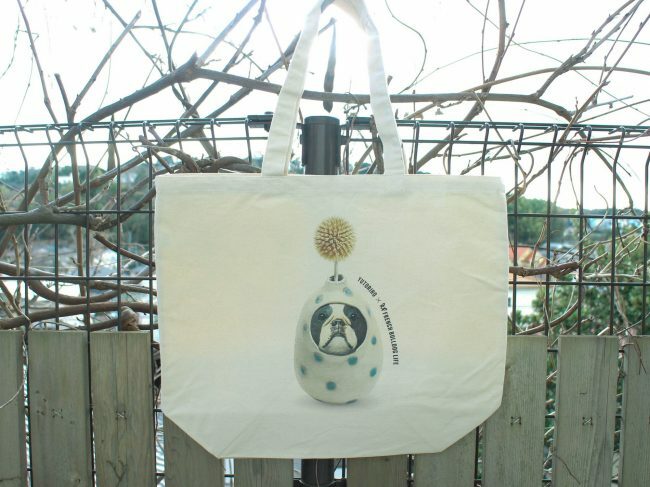 The Frenchies that are looking through flower vase are so popular that they became a design on big tote bags. 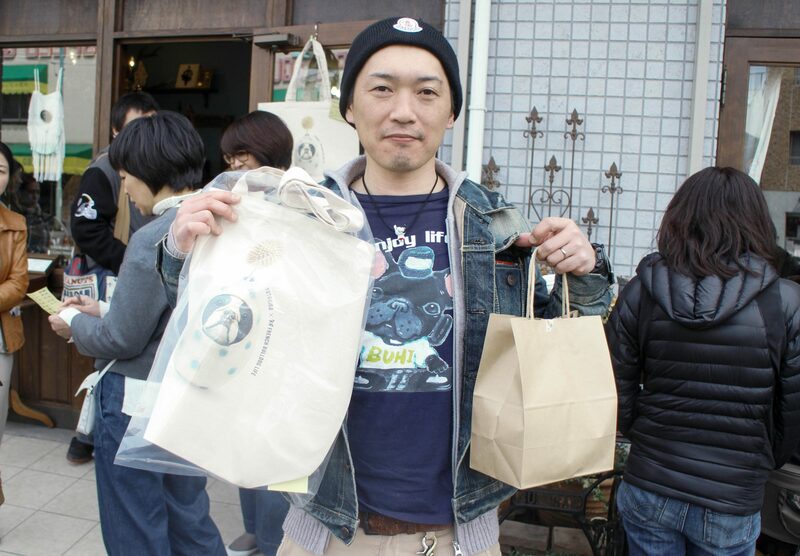 I mean, this BIG tote bag. And this oops-I’m-sorry-moment of Frenchies, the concept here is… We’d say, the cutest moment of Frenchies. You want something that is a little more reasonable? 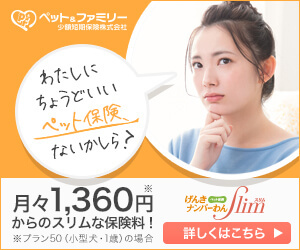 Okay, here is something we can recommend for you. A Frenchie pincushion for your sewing work. 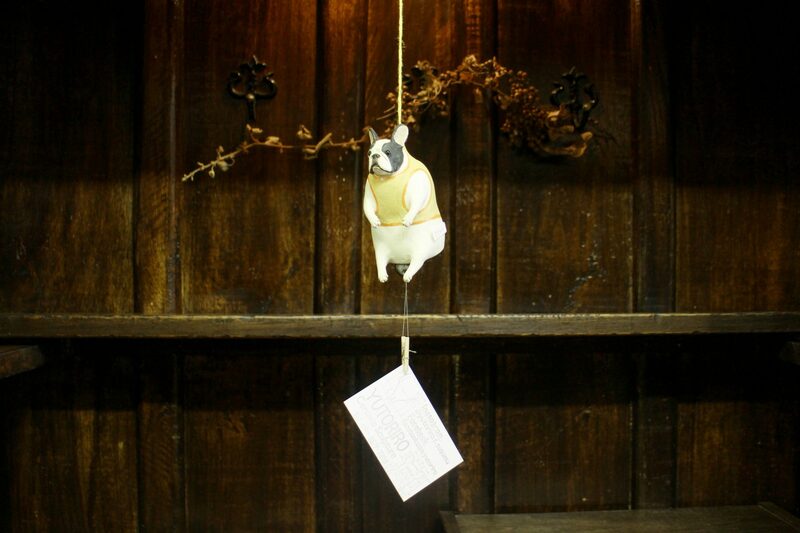 A Frenchie wind chime for you to feel the breeze when it’s hot. 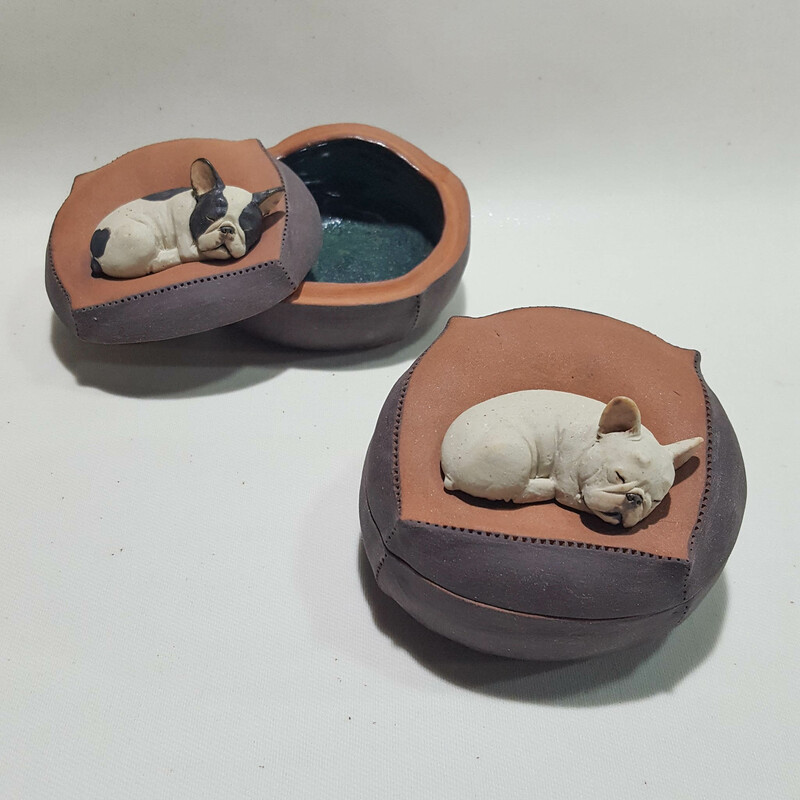 An accessory case that can hold almost any tiny things: like your Frenchie’s baby teeth. 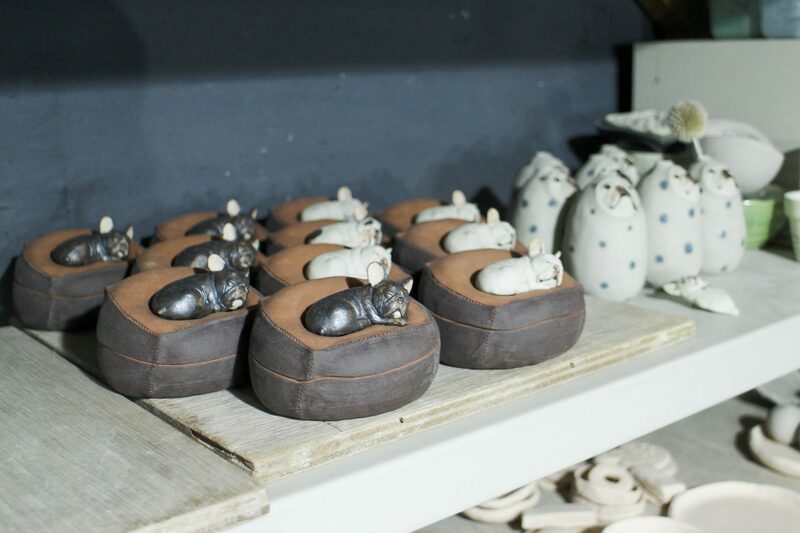 Because Yutoriro Frenchies are carefully made by Tasaki himself, and supplies are limited, unfortunately Yutoriro Frenchie potteries cannot be sold online. 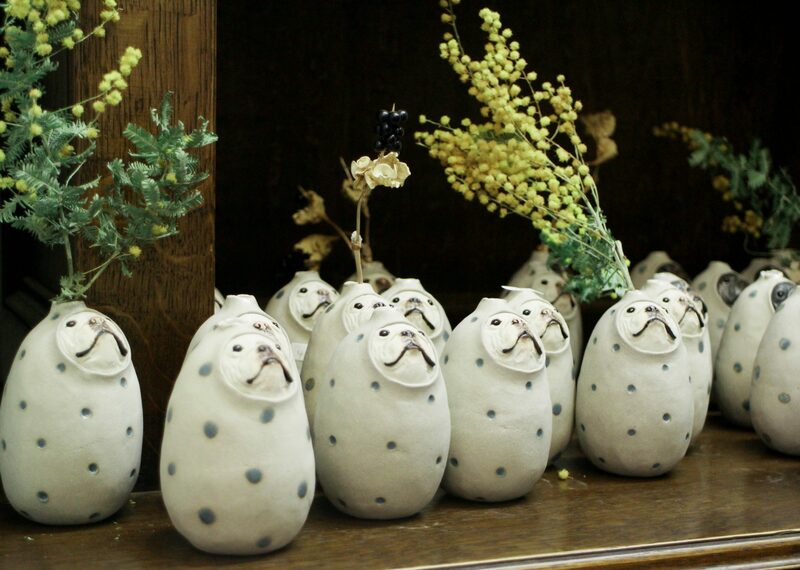 The Tasakis want to talk to the customers face to face when their beloved pottery Frenchies are sold, more precisely, when they are going to be adopted by a new family. 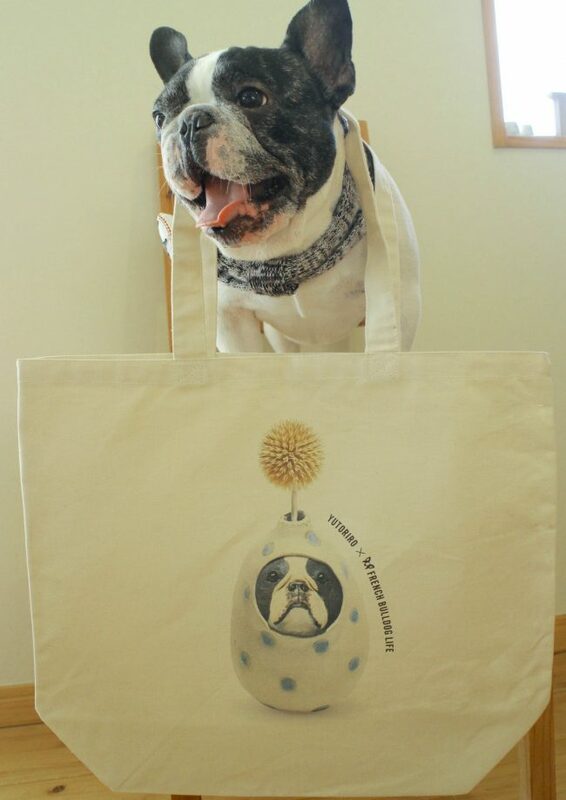 However, the rest of the world’s Frenchie lovers need not worry! We have (possible) good news for ya! 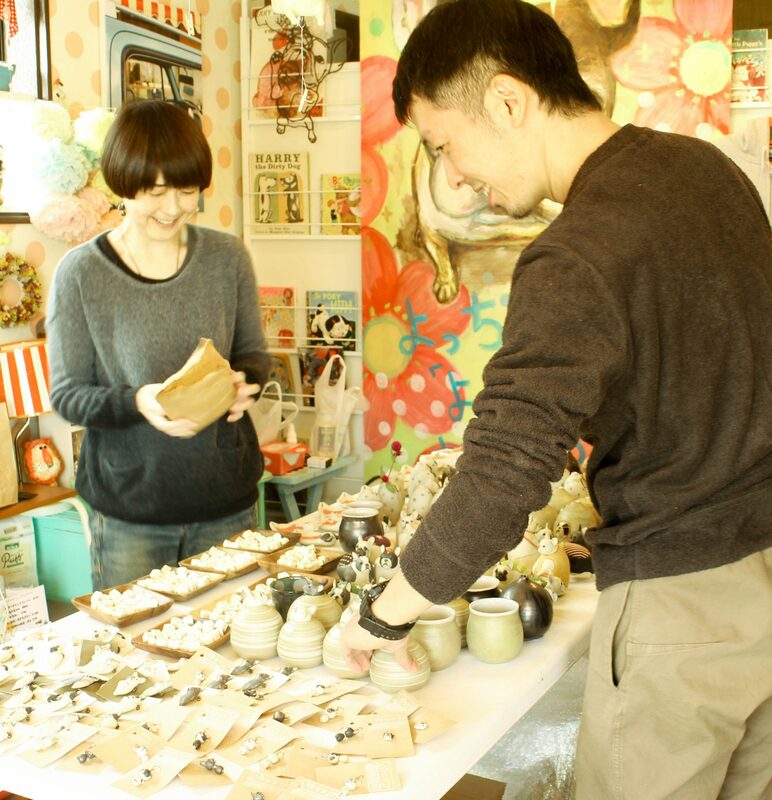 Last but definitely not least, Yutoriro’s owner the Tasakis are thinking about going on a journey with his ceramic Frenchie family. 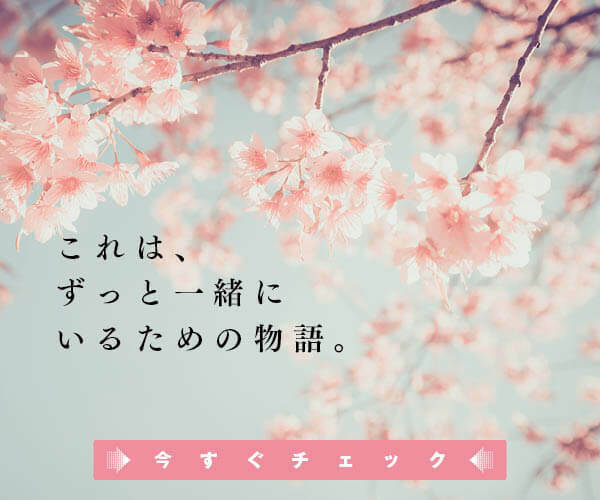 We don’t know where, we don’t know when, but one thing for sure is we will post news about their journey. 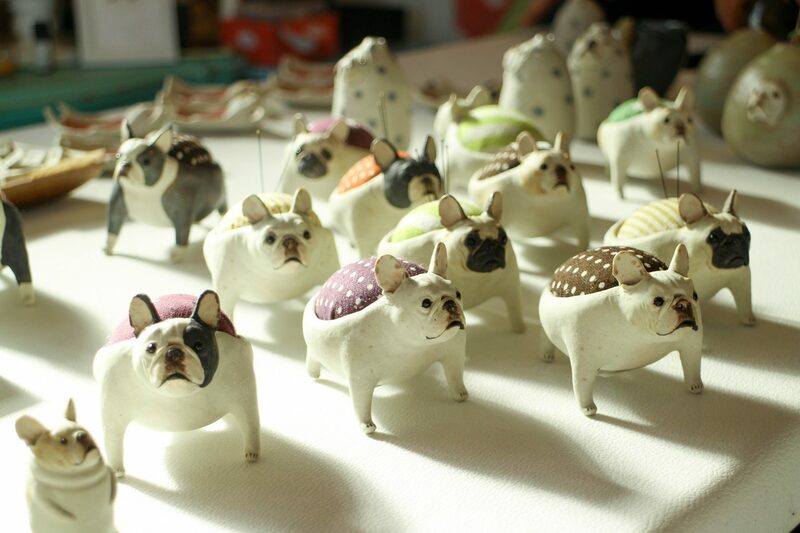 If you’re thinking to own one more Frenchie (pottery), stay tuned! 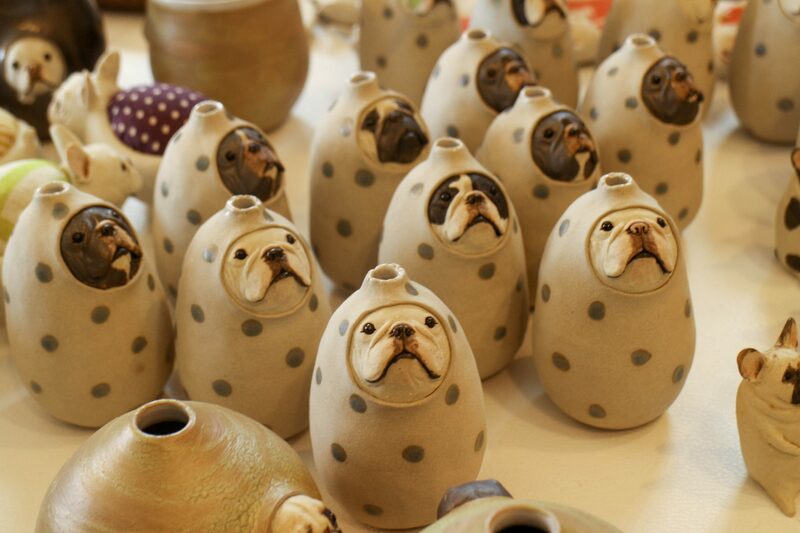 Now you’re curious why the Tasakis started making Frenchie potteries? Here is their beloved Frenchie Anko and Kinako who already crossed the rainbow bridge and are waiting for their mom and dad.